The plan would amount to a $US100 billion tax cut over the next 10 years, with nearly all of the benefit going to wealthier Americans. According to legal analyses, the Trump administration’s plan to make the move without Congress is legally questionable. 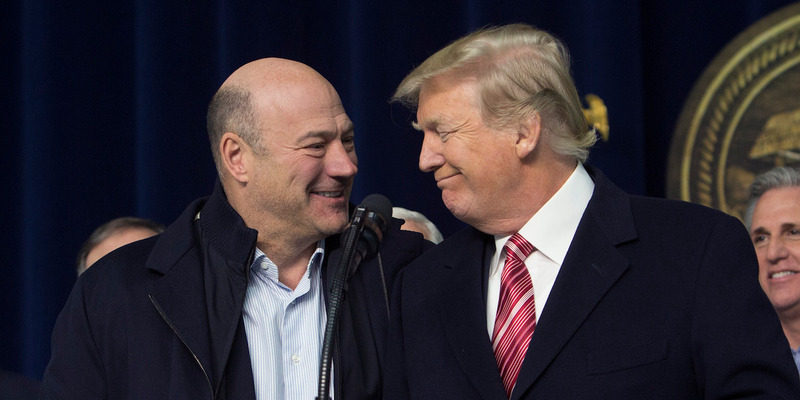 Gary Cohn, President Donald Trump’s former top economic adviser and the longtime Goldman Sachs executive, doesn’t think Trump’s latest tax cut idea is going to get off the ground. Speaking at a charity event over the weekend, Cohn was asked about the Trump administration’s idea to index capital gains taxes to inflation, a move that would result in a significant tax cut. “It was an idea he came up with that got killed in 30 seconds or less, and it won’t last 30 seconds again,” Cohn said, according to Bloomberg, referring to Treasury Secretary Steven Mnuchin. The idea, which Republican have long embraced, would tie the price an investor pays for an asset to inflation to ease the capital gains tax burden. According to independent analyses, the inflation indexing would amount to a $US100 billion tax cut over 10 years. The Trump administration is researching whether it can institute the policy without Congress through an adjustment of Treasury Department regulations. The idea has been floated before, but an analysis by the George HW Bush administration determined it would be legally questionable. It would also overwhelmingly benefit wealthier Americans, with 97.5% of the cut going to the to 10% of income earners in the US, according to one analysis. In fact, roughly two-thirds of the cut would go to just the top 0.1% of income earners. A report from the Congressional Research Service showed that inflation indexing would also do little to boost the economy. Reports suggest that the plan is only in the early stages and that the Trump administration may not go through with the proposal. Cohn declined to weigh in on Trump’s recent tariffs in the interview, but he has been vocal about his distaste for trade protectionism previously.